barrier, but it’s not a roadblock. He made me realize that I could do more with my life. Moises and I married and moved to Phoenix. A year later, in-state tuition passed for DACA-students and then in 2014 I applied for TheDream.US scholarship. In December 2015, I received the scholarship. I’m a firm believer in God, and I truly believe He sent me this blessing. Professionally, I hope to open my own accounting practice to help low income individuals who wish to open their own business. I hope to provide guidance and resources to minimize the struggle of opening their own business. 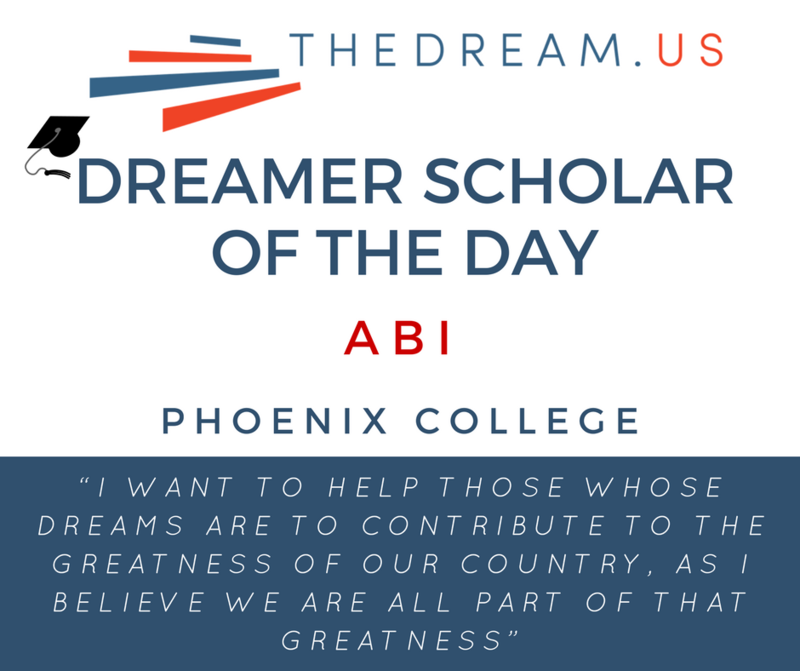 I want to help those whose dreams are to contribute to the greatness of our country, as I believe we are all part of that greatness. Today, with DACA and TheDream.US scholarship, I’m happy to be writing my story.